As Meghan and Harry's Royal baby will be arriving during the Team Mum appeal, we've created a pack to help you hold your own Royal Baby sweepstake! A great way to boost donations from your office, why not ask friends in other companies to host one too? Inviting your friends round for dinner is a great way to reward them for larger donations and encourage support! Child.org’s annual Great Big Supper Club sees supporters cooking fantastic dinners around the country. 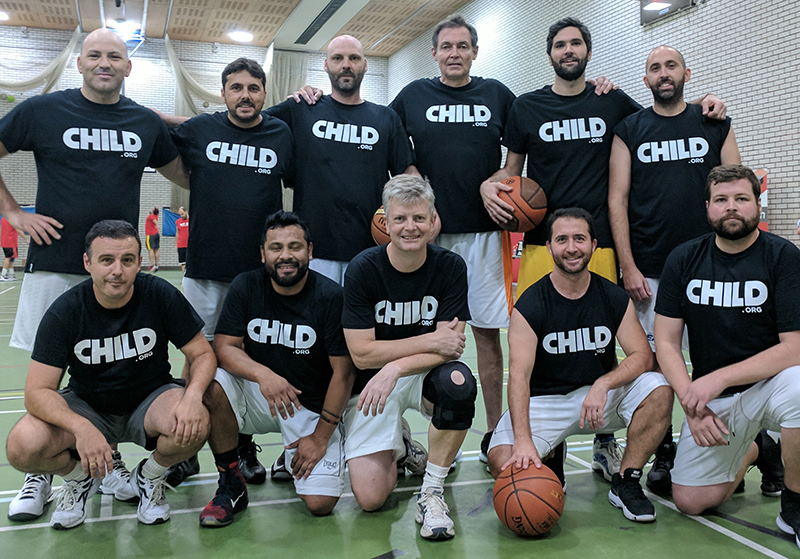 To support his Ride Africa fundraising, Tomas (front, with the ball) held a charity basketball match with his colleagues from Santander. The event was great fun, and raised £470! 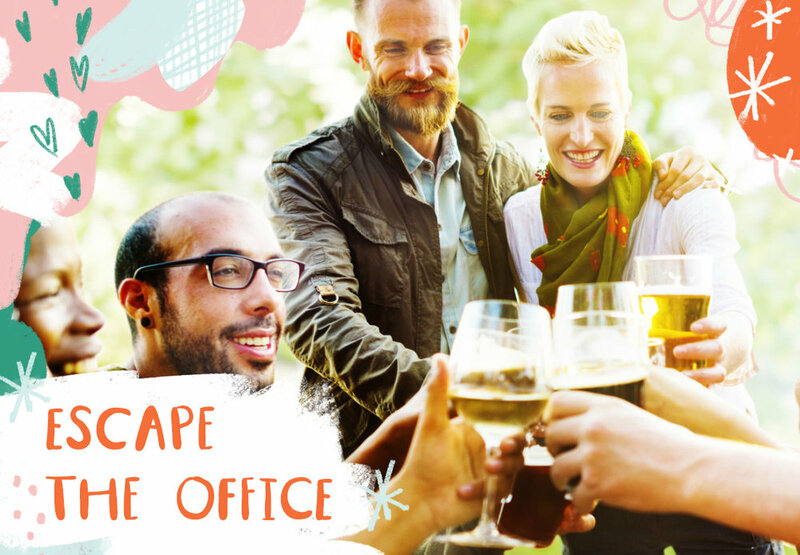 Another popular work fundraiser, hold an Escape the Office for Team Mum! Everyone simply donates £3 to leave work a little early for Team Drinks, with donations matched by your company. In your local pub, at work or in your living room, get some friends together to run this very special quiz for International Women's Day, created by Child.org’s friends at Wondering Womb especially for our Team Mum appeal! When Ellie wore pyjamas for a month to raise money for Child.org, she used the reward option on her page to really put the focus on her donors. She bought a horrible pink dressing gown on ebay and told her friends they could feature on the Dressing Gown Of Thanks by donating £11. When they donated she wrote something special and personal about them on the dressing gown and shared a photo of the dedication on Facebook, each time tagging the person in the photo and including another link to her donation page. People donated just to find out what Ellie would write about them on the dressing gown.